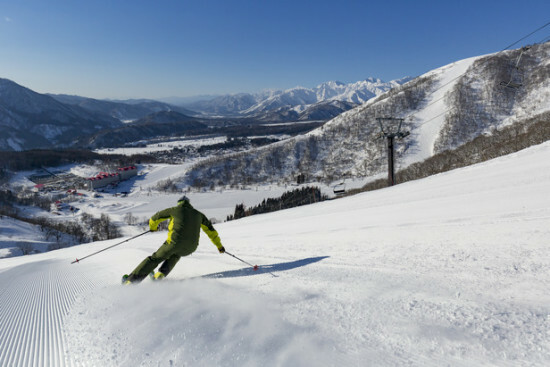 Vail Resorts, Inc. (NYSE: MTN) has announced a long-term alliance with one of the most renowned resorts in the world for deep powder and tree skiing, Rusutsu Resort, located in Hokkaido, Japan, just 90 minutes from Sapporo and New Chitose Airport. Beginning with the 2019-20 season, the Epic Pass, Epic Local Pass and Epic Australia Pass will offer five consecutive complimentary days with no blackout dates at the three unique, interlinked mountains that make up Rusutsu Resort. The addition of Rusutsu to the Epic Pass, brings total pass access to 66 mountain resorts in eight countries in the 2019-20 season, significantly more than any other season pass in the world. The addition of Rusutsu to the Epic Pass, Epic Local Pass and Epic Australia Passes, brings the total Japanese access to 10 days across 11 different resorts, including the ten resorts in the Hakuba Valley. Following are the benefits that pass holders receive with each pass. Epic Pass™: Epic Pass holders will receive five consecutive days of skiing or snowboarding at Rusutsu with no blackout dates, beginning with the 2019-20 season. The Epic Pass offers full access to Vail, Beaver Creek, Breckenridge, Keystone, Crested Butte and Arapahoe Basin in Colorado; Park City in Utah; Heavenly, Northstar and Kirkwood at Lake Tahoe; Stowe and Okemo in Vermont; Mt. Sunapee in New Hampshire; Stevens Pass in Washington; Afton Alps in Minnesota; Mt. Brighton in Michigan; Wilmot Mountain in Wisconsin; Whistler Blackcomb in Canada; and Perisher in Australia (2020 ski season), with no blackout dates. Epic Pass holders will receive seven days of skiing or snowboarding with no blackout dates at both Telluride in Colorado and at Resorts of the Canadian Rockies (Fernie Alpine Resort, Kicking Horse Mountain Resort and Kimberley Alpine Resort in British Columbia, Nakiska in Alberta, and Mont-Sainte Anne and Stoneham in Quebec), in addition to five total consecutive days with no blackout dates at Hakuba Valley’s ten ski resorts in Japan. The Epic Pass also grants 26 days of European access across Les 3 Vallées, Paradiski and Tignes-Val D’Isere in France; 4 Vallées in Switzerland; Arlberg in Austria and Skirama Dolomiti in Italy. Epic Local Pass™: Epic Local Pass holders will receive five consecutive days of skiing or snowboarding at Rusutsu with no blackout dates, beginning with the 2019-20 season. Guests receive access to 27 resorts, including unlimited, unrestricted access to Breckenridge, Keystone, Crested Butte, Okemo, Mount Sunapee, Stevens Pass, Arapahoe Basin, Wilmot, Afton Alps and Mt. Brighton with limited restrictions at Park City, Heavenly, Northstar, Kirkwood, and Stowe, plus a combined total of 10 days at Vail, Beaver Creek, and Whistler Blackcomb with holiday restrictions and five total consecutive days with no blackout dates at Hakuba Valley’s ten ski resorts in Japan. Epic Australia Pass™: On sale now for AU$839, Epic Australia Pass holders will receive five consecutive days of skiing or snowboarding at Rusutsu with no blackout dates, beginning with the 2019-20 season. Guests receive unlimited, unrestricted access to Perisher during the 2019 season; unlimited, unrestricted access to Crested Butte in Colorado; Mount Sunapee in New Hampshire; Okemo in Vermont; and Stevens Pass in Washington State during the 2019-2020 season. Limited holiday access to Breckenridge, Keystone and Arapahoe Basin in Colorado; Park City in Utah; and Heavenly, Northstar and Kirkwood at Lake Tahoe; and 10 days at Whistler Blackcomb, Vail, Beaver Creek and/or Stowe combined; 5 consecutive days with no blackouts in Hakuba Valley, Japan during the 2019-2020 season. In the 2019-20 ski season, guests must present their pass at any Rusutsu ticket window in order to receive their five consecutive complimentary lift tickets. In addition, Kamori Winter Pass holders will receive 50 percent off of then current lift ticket prices at all Vail Resorts owned and operated resorts. Rusutsu Resort, located in central Hokkaido, receives an average annual snowfall of 45 feet (14 meters) and has some of the best powder and tree skiing found anywhere in the world. The resort, comprised of three separate mountains, offers all levels of ski and snowboard terrain with more than 37 trails, connected by four gondolas and 14 lifts, with two terrain parks and 1,378 acres (42 km) of terrain. Rusutsu’s immaculately groomed trails, powder bowl access and beautiful woodland scenery is ideal for skiers and riders of all levels. Located 90 minutes from Sapporo’s airport, Rusutsu enjoys unbeatable proximity for ski travelers and cultural explorers alike. With frequent flights between Japan’s New Chitose, Haneda and Narita International airports and major cities in Asia, the U.S., Canada and Australia, it’s never been easier for Epic Pass holders to take a Japanese ski vacation.